The difficulty of recalling past consumption experiences of a preferred product has a positive effect on the desire to consume that product (Redden and Galak 2013). It is explained by the fact that the difficulty of recalling past experiences leads individuals to perceive that they have not consumed much of the preferred product in the past. The difficulty of recalling past experiences triggers the use of the difficulty-of-recall inference: “it is difficult to recall, so I have not consumed a lot” (Schwarz 2004; Tversky and Kahneman 1973). 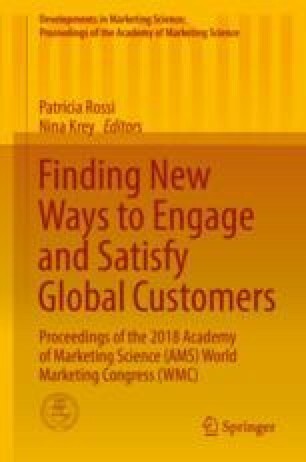 Because of this feeling of missing, individuals feel more desire for products (Dai and Fishbash 2014; McSweeny and Swindell 1999). We further investigate the difficulty-of-recall proposition of Redden and Galak (2013) and study a boundary condition. We suggest that the type of information that individuals recall might affect the use of the difficulty-of-recall inference differently, which in turn might influence desire. We distinguish between semantic and episodic information. When consumers process semantic information (i.e., general facts about an entity or experience detached from specific episodes), they are disposed to engage in cognitive processing and might be influenced by the difficulty-of-recall inference. By contrast, when consumers evaluate episodic information (i.e., knowledge stored in memory of past experiences including emotions and sensations tied to these experiences), they might not be influenced by the difficulty-of-recall inference because individuals are principally motivated to process emotionally charged information (Cabanac 1971; Fredrickson 2001). We challenge past research which demonstrates that consumers are influenced by the difficulty-of-recall inference when processing information is difficult (Menon and Raghubir 2003; Novemsky et al. 2007; Pocheptsova et al. 2010). Across two studies, we examine the role of the type of information (semantic or episodic). Study 1 (N = 157; product category: soft drinks) demonstrates that the difficulty of recalling past consumption experiences influences desire positively when consumers recall semantic information. However, Study 2 (N = 198; product categories: leisure activities and hedonic products) shows that this influence is not replicated when consumers recall episodic information. Our results expand current knowledge about the role of processing difficulty-of-recall in consumer experience. Our contribution has the potential to help marketers take action regarding the recall of the past consumption experiences of a preferred product. For instance, online retailers that know what brands were purchased and at what moment at the individual consumer level (e.g., ruelala.com, gilt.com, vente-privee.com) could remind the consumer that she or he has not purchased this brand for a given period of time. This semantic information showed to the consumer might lead to a sense of deprivation and favor purchase.